Jean E. Sammet has a B.A. from Mount Holyoke College and an M.A. from the University of Illinois, both in Mathematics. She received an honorary D.Sc. from Mount Holyoke (1978). Sammet supervised the first scientific programming group for Sperry Gyroscope Co. (1955–1958). She worked at Sylvania Electric Products (1958–1961) in various positions. While at Sylvania she served as a key member of the original COBOL committee. During the 1970s, she worked for IBM’s Federal Systems Division, emphasizing programming language issues. In 1979, she became Software Technology Manager for the division and handled Ada activities for IBM..
Sammet is the author of “PROGRAMMING LANGUAGES: History and Fundamentals,” which became a standard book on its topic, and was called an “instant computer classic” when published (1969). She taught one of the first graduate programming courses in the country at Adelphi College (1956–1958). She was very active in ACM and held these positions (plus others): President, Vice-President, Chair of SIGPLAN (Special Interest Group on Programming Languages), editor-in-chief of Computing Reviews and ACM Guide to Computing Literature, General and Program Chair for the first SIGPLAN History of Programming Languages Conference (HOPL) in 1978, and Program Chair for HOPL-II (1993). 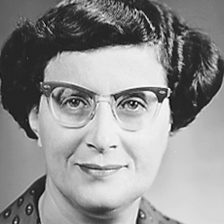 She organized and was the first chair of the AFIPS History of Computing Committee, and helped start the Annals of the History of Computing. She is a member of the National Academy of Engineering, and among other awards received the ACM Distinguished Service Award (1985), Augusta Ada Lovelace Award from the Association for Women in Computing (1989), and was named a Computer History Museum Fellow (2001).